No down payment mortgages allow first-time home buyers to purchase property with no monies required at closing. Frequently, it is the 20% down that presents a problem for home owners. Even if a buyer has excellent credit and sufficient income, they may not have money saved for a down payment. Take heart! There are programs requiring no money down and providing 100% financing for your new home. VA home loan require no down payment or mortgage insurance. These loans are available to veterans, current members of the military, and their spouses. Those who spent six years in the National Guard or Reserves are also qualified. Additionally, spouses of service members killed in the line of duty are eligible. The U.S. Department of Veteran Affairs guarantees VA loans. The agency guarantees repayment to lenders making loans, if the loans meet VA mortgage guidelines. VA loan amounts are dependent upon the cost of homes in the area in which you are buying. VA allows for loan sizes of up to $636,150 in high-cost areas. The major disadvantage of a VA loan is that the approval process can be time consuming. However, there is the benefit of being able to use the home with intermittent occupancy. In addition, VA loans have less stringent credit requirements. Although there is a funding fee, the fee can be wrapped into the VA loan. If you think you qualify for a VA loan, talk to your real estate professional. This may be the best option for your home purchase. USDA loans also offer 100% financing. These loans, available through the United States Department of Agriculture, are available to buyers who meet income and credit requirements. The buyer must be able to afford payments on the loan, but have a low or moderate income. Additionally, the property you are purchasing must be located within an area designated as eligible for these no-down-payment loans. In addition to no money down, USDA mortgage rates are often lower than conventional loans. The buyer may include the cost of home repairs and improvements in the loan amount. There is a maximum home purchase price and a guarantee fee that added to the loan balance at closing. Although mortgage insurance is required, it is collected monthly. Oftentimes, financing a home with a USDA mortgage can be the least expensive way to become a homeowner. First time home buyers and those with less than stellar credit can qualify for an FHA loan. The FHA is a division of the Department of Housing and Urban Development. The FHA will typically approve a home loan if you have a reason for your low credit scores. Your credit score only needs to be 500. Another advantage of FHA loans is that, unlike many conventional loans, there is no prepayment penalty. The Federal Housing Administration guarantees part of the home loan, so that lenders can broaden their acceptance standards. The FHA publishes these standards for the loans it will insure. A bank must meet these specific guidelines for the loan. When they do so, the FHA agrees to insure that loan against loss. With this broadened acceptance, a home buyer can qualify with a loan with only 3.5% down. To protect the lender if you default, FHA loans require mortgage insurance, part of which is due up-front. Then you will continue to have mortgage insurance payments due monthly. 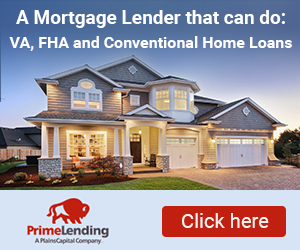 So, how does the FHA loan provide you 100% financing? You are allowed to use a gift amount for all of the 3.5% down payment. You may have a family member or close friend generous enough to give you money towards your home purchase. For a $150,000 home purchase, you would only need $5,250 for your down payment. FHA loan limits are set each year according to county and the number of “living units.” FHA limits are based on the Home Price Index (HPI) and get updated, or at least reviewed, every year. Some counties are considered high cost and have a higher loan limit. Your Florida real estate professional can tell you the loan sizes for the county of your home purchase. FHA mortgages, with their liberal credit score and low down payment, may be your best option for home purchasing. Use “border income” – income from a roommate – to qualify. Use a cash gift or assistance program for the down payment. Use income from non-occupant co-borrowers to qualify for financing. Use rental income from a mother-in-law unit or basement apartment to help the chance of getting approved for a loan. The buyer can also receive a grant from an approved down payment assistance source. Many cities and counties have assistant programs, some of which cover up to 100% of the required 3% down. Your real estate professional can help you locate down payment assistance programs for the state of Florida. In addition, there may be a city or county assistance program for the home you are considering. Want to buy a home with little or nothing down? You can. Don’t let your lack of cash cause you to give up on your dream of home ownership. Use one of these options for 100% financing. There are programs allowing you to buy a home with 100% financing with only good credit and a steady income. Contact Frederick Franks, your Ocala REALTOR for help with your home purchase today.